Number 5 Type Collection: Happy Pinky May Day! Welcome a new baseball holiday for 2015: I christened May 5 as Pinky May Day, given its nice confluence of fives. Pinky played third base, scoring position 5. Pinky played for five years, 1939-43. Pinky is the fifth finger and May is the fifth month. On this year's Pinky May Day, his Phillies welcomed Chad Billingsley back to the majors after a two-year rehab from multiple arm surgeries; that they lost to Atlanta is relatively small potatoes (more details on Chad). 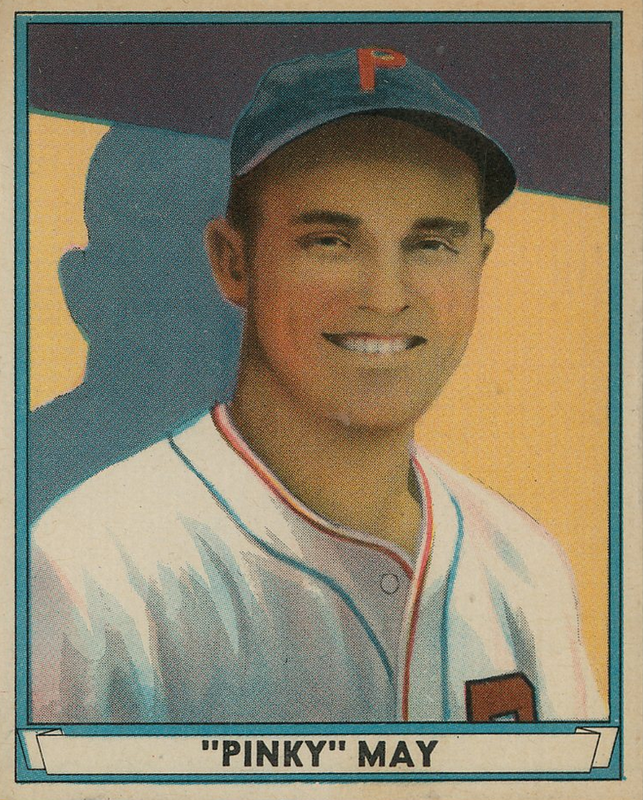 TRIVIA: Pinky appeared in the 1940 All-Star Game and logged a rare hit-by-pitch, taking a Bob Feller bullet for the team. Of the 35 All-Star plunkings since 1934, everyone's tied at 1: each one a different hitter and different pitcher (full list at B-R). While Pinky's at-bat doesn't appear in the above 1940 All-Star highlights, it's always fun to see game footage from that era and guys like Joe DiMaggio giving 100% on an infield grounder.